We assemble various components into complete modules. 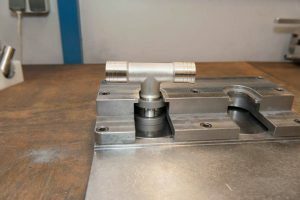 The single parts come from our own production as well as free-issue parts from customers and externally purchased cast, forged and standard parts. The assembly process involves various operations such as pressing, rabbeting and welding. The customer may choose the degree of added value.